Malla King Raghunath constructed the Gokulchand Temple, situated in Gokulnagar. 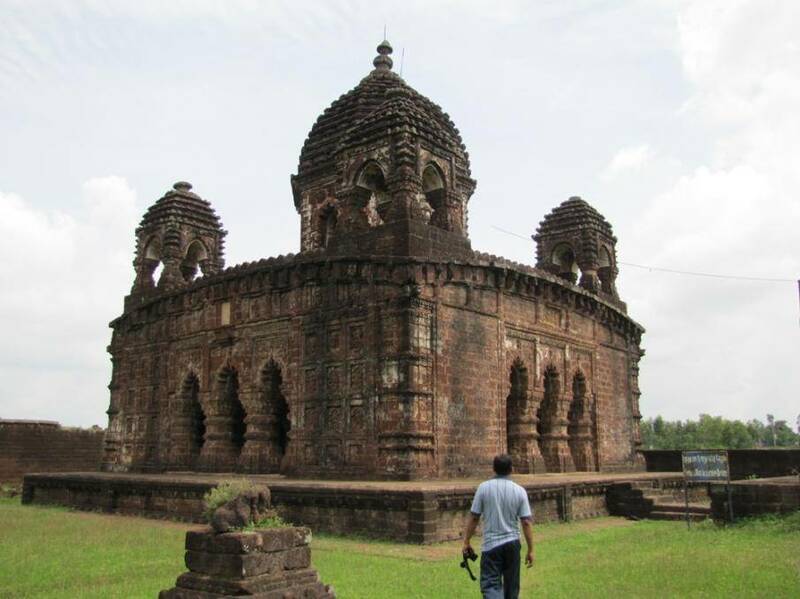 Burnt clay bricks form the terracotta temples of Bishnupur which are spread in few kilometres. The 64 feet high Pancha Ratna, having five apex is octagonal at centre and made of laterite stone and largest of its kind in Bankura district, lined by a Natmandir. The whole temple complex is surrounded by a high wall, giving it the look of fort rather than a temple. Gateway is in form of triple arched entrance since it has verandahs on three sides. The Idol of Lord Krishna was there which has long ways back shifted to Bishnupur temple and is only brought back on the occasion of Holi and Rash. However Picture of the idol remains here all that is worshiped today. Rakhaldas Banerjee, visited the temple complex and made efforts for restoration seeing its Natamandir roof Collapse. Stones have also been removed by contractors for construction of road and other buildings. But, only in 1996 Archaeological Survey of India marked this place of National Importance.